Today's post is about something that my hair has been absolutely loving; Moroccanoil. Yes I know you probably have alarm bells going off in your head about putting oil into your hair, worrying that it would make it limp and greasy, but I can confirm that this is not the case. Before using this oil my hair was in a very bad state, I must admit I hadn't taken the best care of it and it has definitely seen better days. In particular the ends of my hair were suffering the most, feeling very dry and brittle. Moroccanoil has put the moisture back into the lengths of my hair, making it feel softer and nourished - results that I saw from the first application! I apply a pea-sized amount of oil to the ends of my damp, freshly washed hair. When I first used the oil I expected my hair to feel greasy afterwards, but the oil dries as you massage it into your hair, stopping your hair feeling weighed down. A little goes a long way with this product, so although it is a bit pricey I have been using it for a month and have hardly used any of the bottle. In my opinion this is a very easy (and lazy) way of keeping your hair in a good condition, without overloading your hair with different products. Due to the fact I love this oil so much, I decided I wanted to do some research into what makes this product so effective. 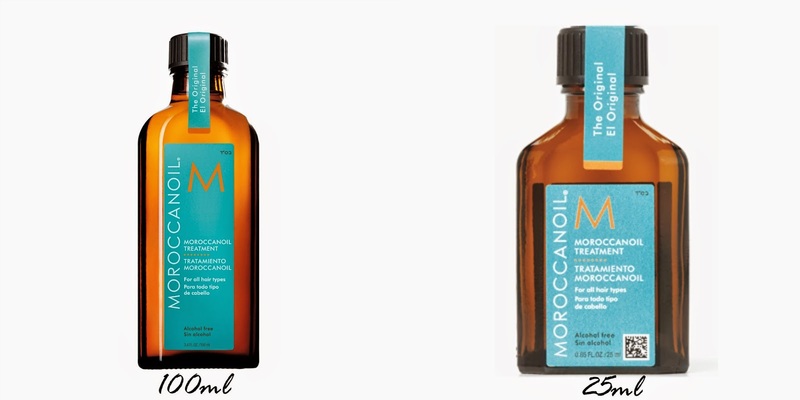 The main ingredient in Moroccanoil is Argan Oil which has countless benefits for your hair (and skin too). It makes you hair look shiner and softer, which in turn tames frizz making your hair manageable and sleeker. Argan Oil can also help with hair growth by combating and preventing split ends; it penetrates deep into the hair shaft and strengthens each individual strand of hair. This product is a winner for me, and I think it’s suitable for any hair type. I will definitely be repurchasing the 100ml bottle when this dinky bottle runs out!